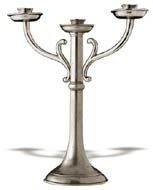 The word candelabrum derives from the Latin noun "CANDELABRUM" which incorporates "CANDELA" ("Candle") and the suffix "BRUM", the root of the verb "phèro", meaning "to carry". 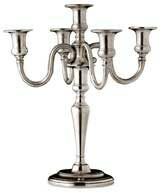 Candelabra have been given a variety of forms ever since ancient times. 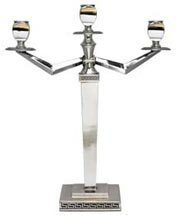 Candleholders were made from stone on Crete and in Mycenae and featured a single short foot. 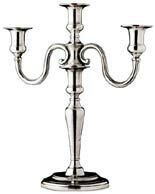 The Etruscans produced a large number of candleholders, especially from the seventh century on. 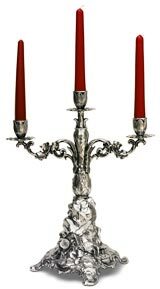 They were generally made from metal with a smooth or decorated vertical holder lying on small feet or paws and terminating in buds, tips or statuettes which supported the saucers. 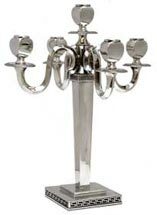 Hellenic candelabra were made from bronze and marble. 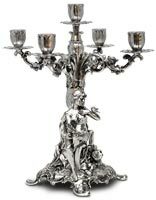 During the Neo-Attic period, marble candleholders became richly decorated and featured rectangular bases shaped as truncated pyramids. 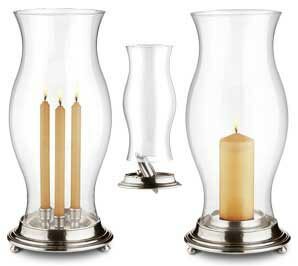 In the Middle Ages, candlesticks were almost exclusively used for sacred functions. 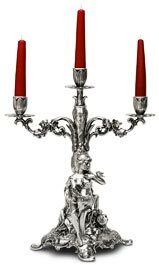 There were two main types: the first revived and simplified ancient bronze candlesticks and was placed on the altar; the second type continued the tradition of marble Roman candelabra. 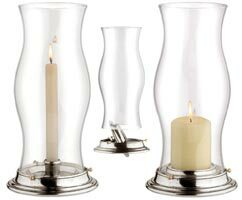 During the Gothic period, candlesticks were given new shapes copied from architectural elements and featured thin membrane overlays. 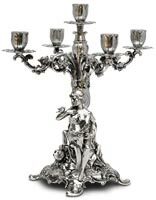 With the advent of the Renaissance age in the sixteenth century, candelabra became real and proper art objects, richly decorated sculptures. 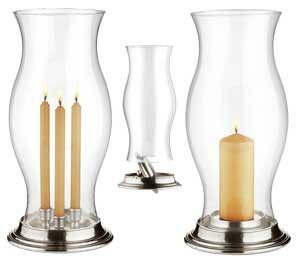 During the seventeenth century, candleholders were developed for the home. They could be placed on pieces of furniture or fixed to walls. 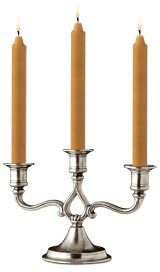 In the eighteenth and nineteenth centuries, candelabra with several arms became popular as they could hold a larger number of candles. 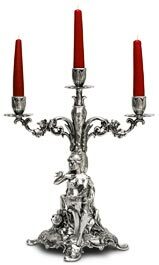 In the nineteenth century, particularly during the Neo-classical period, these candelabra were extremely elegant and richly decorated, though they did betray a certain restraint. 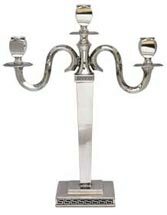 We have a wide range of pewter candlesticks and candle holders ranging from simple supports for tapers, to travelling tee-light holders and the modern "lui" and "lei" ("him and "her") candlesticks from the Century collection, not to mention a large number of candlesticks and candle holders inspired by the various periods of the past.